Eating healthy meals doesn’t mean that you are going to give up your favorite foods. It is a good news that some healthy cooking tips will let your favorite recipes adapted to provide healthier choice. For instance, you can make use of non-stick cookware to lessen the need of oils to cook. Then, you can opt for vegetables that are steamed or microwaved rather than boiled to make sure that the valuable nutrition set still. Well, there are actually many ways that we can do to make our meals healthier. If you don’t know how to begin with, here are some cooking tips that can help you to make your favorite foods healthier. So, let’s check this out! Creamy sauces like the one you find in homemade macaroni and cheese or fettuccine alfredo are frequently loaded a lot with heavy cream, butter and cheese. There is no doubt that your meal will be full of fat in this case. As an alternative, you can change the heavy cream with low-fat milk which is thickened with flour. Here, you can simply mix a cup of low-fat milk with four teaspoons of multifunction flour. Then, whisk over mid heat until it is bubbling and thick. This alternative for creamy sauce will save you more than 680 calories and also 53 grams saturated fat. If you want to make salads with creamy sauces like potato salads, you can consider choosing low-fat mayonnaise and then blend it with low-fat sour cream. It will be a nice dressing with lower calorie for your healthier diet. You may opt for canola oil and extra-virgin olive oil as an option for heart-healthy oils to cook many of your recipes. However, both of them still provide 120 calories per tablespoon. That’s why we need to watch out the use of these oils too. For a healthier food, it is a good idea to add less oil to any of your favorite sauté, soup or salad recipe. When you are cooking on cast-iron, enamel-coated or nonstick pans and skillets, you can use lest oil amount since these cookware is less sticking. Deep-frying is a popular cooking method for creating a crispy food, but it is not a healthy option for our meals. Instead of using deep-frying, it is better for you to try oven-frying method. In this case, you can simply dip fish, vegetable or chicken in buttermilk, milk or egg and then dredge the ingredient to breadcrumbs or seasoned flour. Next, coat the ingredients with olive oil or canola oil cooking spray. Put your dish on a wire rack which has been set on your baking sheet. After that, bake your dishes at 425 degree to 450 degree Fahrenheit then bake it until crispy. Your crispy chicken will provide fewer calories when you cook it that way. As you read many healthy cooking tips, you may find that you are supposed to limit the use of salt in your meals. Well, as recommended by USDA, you need to limit your sodium consumption to less than one teaspoon or about 2,300 mg per day. Then, how can we make our meals tasty without too much salt? Fortunately, we have so many options to add flavor to our meals without adding too much salt. You can replace salt in your favorite recipe with sodium-free ingredient like squeezed lime or lemon and also chopped fresh herbs. Moreover, if you make use of foods that are in can like canned broth, beans or tomatoes, you need to watch out on the sodium intake on the food. Make sure that you check the ingredients label to learn about it. If you love to have a baked goods, make sure that you replace your all-purpose flour with whole-wheat flour. Whole-wheat flour will add more fiber to your food and also improve essential B vitamins as well as magnesium and zinc. When you cook muffins, hearty cookies and breads, try to use white or regular whole-wheat flour. Then, when you cook cake, delicate cookies and pie crusts, you can consider using pastry flour which is fine-textured whole-wheat. You may love the butter taste even though you know that you can completely replace it with other ingredients especially when it comes to baked goods. However, to make sure that saturated fat is in check you may need to change it with olive oil or canola oil. For your information, butter offers more saturated fat for about seven times compared to oil. As a result, you are better to try to swap at least a half of the oils for the butter to make a less-fat baked goods. For you who haven’t known, an egg white only provides 16 calories and zero fat while egg yolk provides 54 calories alongside with 5 g of fat. That’s why it is a good idea to make use of the egg whites only instead of the whole eggs for any recipe you have. If you love meat dishes like burgers or meatloaf, you can consider adding whole grains or diced vegetables to your meat to make the portion size bigger. This is also a good way to make your meaty dishes healthier. More importantly, it will help you to add foods that you normally don’t get sufficient of it. 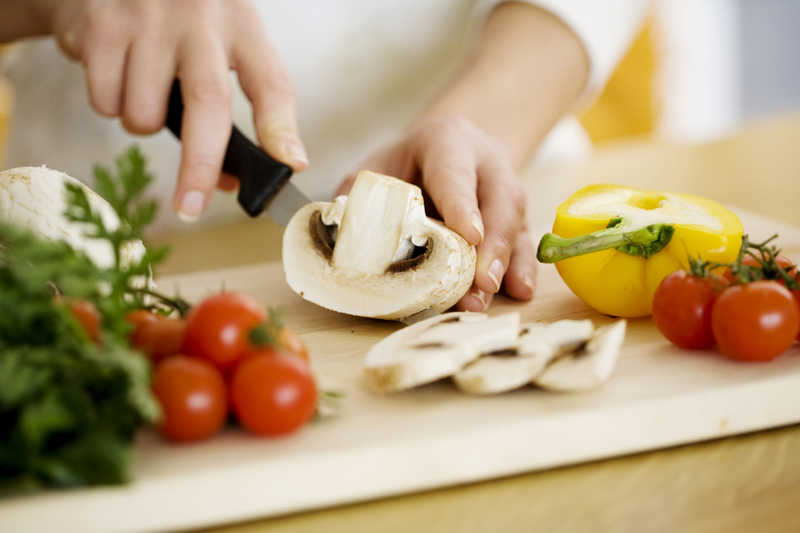 Those are several healthy cooking tips that you can follow to make your favorite meals healthier. It is a simply thing to do, isn’t it? Now, you should try to change the way your cook with the tips above and create a healthier meal for you and your family every day. 0 Response to "Healthy Cooking Tips to Make Your Favorite Meals Healthier"